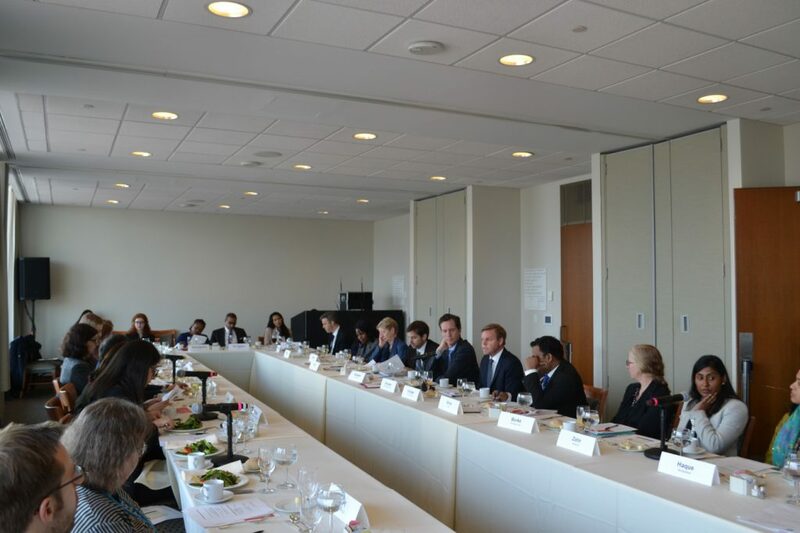 The South Centre and Friedrich Ebert Stiftung, jointly with the Financing for Development Office of UN DESA, organised a working lunch on “Graduation from Concessional Finance – Exchange with Member States” in preparation for the 2018 report of the Inter-agency Task Force on Financing for Development on 23 January 2018 in the UN Headquarters. Delegates from 17 Member States attended the lunch, along with representatives of several member agencies of the Inter-agency Task Force. The working lunch addressed the concerns of developing countries – in the context of an overall declining trend in the levels of financing and aid – about losing sufficient and affordable long-term financing for investments in sustainable investment as they graduate to lower middle-income status. The working lunch considered the variety of criteria for graduation and differences in the graduation processes among different agencies. The discussion turned on how to improve the application of the criteria and the process of graduation to be better in line with the underlying intent of the graduation procedure. Speakers, from left to right: Annalisa Prizzon (Overseas Development Institute), Shari Spiegel (Chief for Policy Analysis and Development, UN DESA/Financing for Development Office), Manuel Montes (Permanent Observer and Senior Advisor on Finance and Development, South Centre) and Bettina Luise Rürup (Executive Director, Friedrich-Ebert-Stiftung New York). Other speakers (not in the picture) were Mr. Bjorn Gillsater (Special Representative to the United Nations, World Bank Group) and Mr. Matthias Bruckner (Senior Economist, Committee for Development Policy Secretariat). Discussion among the participants in the working lunch.